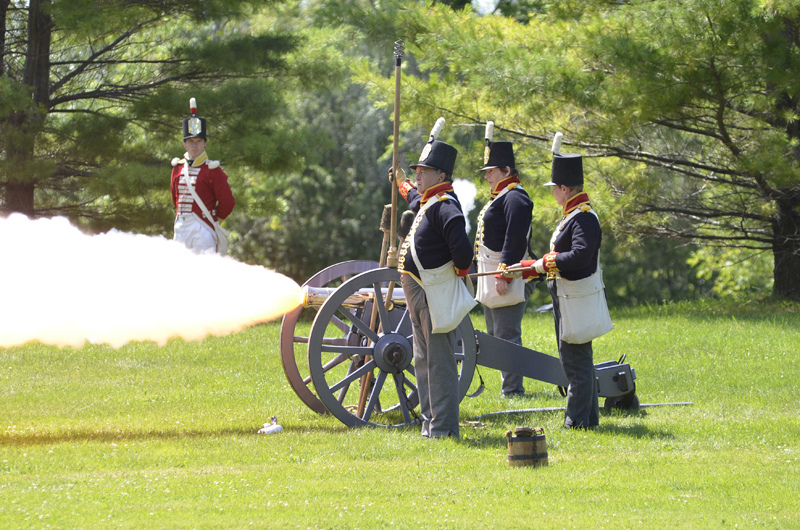 To commemorate the Bicentennial of the historic "Battle that Saved Canada" we invite you to take part in a spectacular weekend reliving these momentous times near Upper Canada Village on 13-14 July 2013. Over 500 living history reenactors representing naval, artillery, band and infantry units from across Canada and the US will converge on the Crysler's Farm Battlefield Memorial grounds to take part in 3 battle reenactments, a regency ball, and historically accurate portrayals of crafts, sports, military, merchants and civilian life of the War of 1812-1815 period. On November 11, 2013 at 1:00pm, on the actual 200th anniversary date of the historic Battle of Crysler's Farm, we will hold a sombre service of remembrance at the Battlefield Memorial to mark the events that turned aside the largest American invasion of the Canadas during the war. Join us, 1812 re-enactors and modern day reserve regiments in preserving the memory of our forefathers who fought for our homeland.